Why is Everyone Infatuated With Mack Weldon Underwear? Making headlines in publications such as GQ Magazine, Tech Crunch, Bloomberg, and more, Mack Weldon underwear are created with the best fabrics and innovative design that combines to create the ultimate comfortable underwear with the right amount of freedom and support. Mack Weldon underwear take the classic styles and add in new technology such as a superior elastic waistband that won’t roll on you, mesh paneling for airflow, and “stay put legs” that won’t ride up or constrict in order to give you high quality and comfortable underwear. 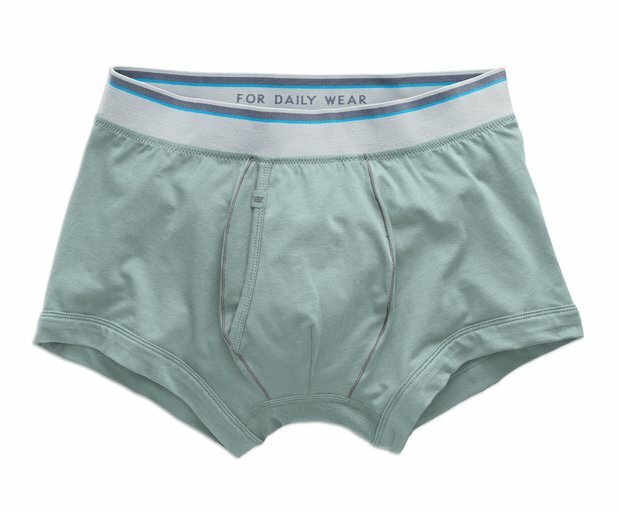 Mack Weldon underwear come in four different styles and four different fabrics to suit anybody’s preferences.The online selection includes briefs, trunks, boxer briefs, and boxers, in either 18-hour Jersey, Silver, Airknit, or Woven Cotton options, and in over twenty different colors. Each style and fabric is slightly different to suit your needs, but all are extremely high quality and offer the best in comfort and support. Unfortunately, Mack Weldon underwear is not currently in stores in Australia, and Mack Weldon online does not ship to Australia, but with Big Apple Buddy, your personal shopper, you can buy products direct from the official Mack Weldon online store and have them shipped them to your doorstep, no matter where you are in the world. We offer international shipping to all cities in Australia, Austria, Azerbaijan, Bahrain, Belgium, British Virgin Islands, Brunei, Bulgaria, Canada, Chile, Costa Rica, Croatia, Czech Republic, Denmark, Estonia, Fiji, Finland, France, French Polynesia, Germany, Gibraltar, Greece, Greenland, Hong Kong, Hungary, Iceland, Indonesia, Ireland, Israel, Italy, Japan, Jordan, Kuwait, Latvia, Liechtenstein, Lithuania, Luxembourg, Macau, Malaysia, Maldives, Malta, Marshall Islands, Mauritius, Monaco, the Netherlands, Netherland Antilles, New Zealand, Norway, Oman, Poland, Qatar, Romania, San Marino, Saudi Arabia, Serbia and Montenegro, Seychelles, Singapore, Slovak Republic, Slovenia, Spain, South Africa, St. Lucia, Sweden, Switzerland, Taiwan, Thailand, the UAE, the UK, Vatican City, and Vietnam. If you would like to buy from the Mack Weldon online store, simply get in touch and let us know which items you would like to order. We’ll get back to you with a free international shipping quote within 24 hours!